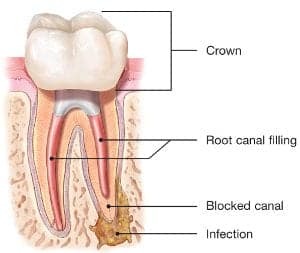 The only other alternative is the extraction of the tooth. 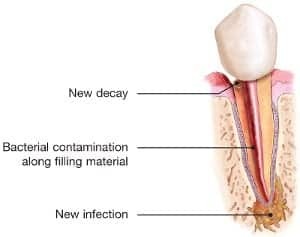 The extracted tooth must then be replaced with an implant, bridge or removable partial denture to restore chewing function and to prevent adjacent teeth from shifting. 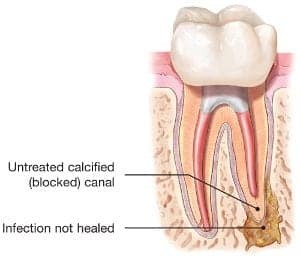 Because these options require extensive surgery or dental procedures on adjacent healthy teeth, they can be far more costly and time-consuming than retreatment and restoration of the natural tooth.